Hot trends are a lot of fun, but when they completely take over, they tend to lose their original appeal. Enter leopard print. We got hints that leopard would be a fall staple, but could we have comprehended just how much we were going to see it? As I scroll through Instagram these days, I wonder why I’m following so many, dare I say, basic women. Everyone has a Gucci belt, Brixton hat, and some sort of leopard product. While many people love these items, I’m honestly starting to get sick of seeing leopard spots on every street corner, in every news feed, and at the center of every photo. Where is our originality? Is it completely lost in this social media era we live in? While leopard is certainly oversaturated, animal print is a great wardrobe staple to have this season, so I’m here to remind everyone that other prints exist! Ditch the leopard, and opt for snakeskin or tiger print instead. 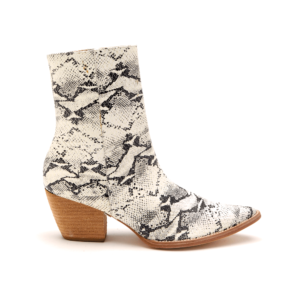 This is the perfect mid-calf boot to add to your winter closet. Belts are versatile; you can wear them with pants, over dresses, or even over baggy tees. 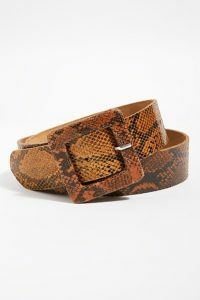 Stay on trend with this chic snakeskin-printed belt. If you’re going for a sultry look, this open-back top is perfect for a night on the town. This coat speaks for itself! Give me a place to be, and you can guarantee I’ll incorporate this piece into my outfit. 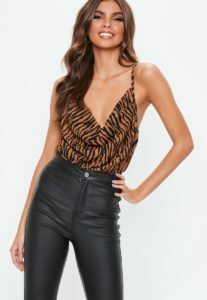 We should all have a great bodysuit in our wardrobe, and this tiger print one is sure to make you stand out in a sea of black. 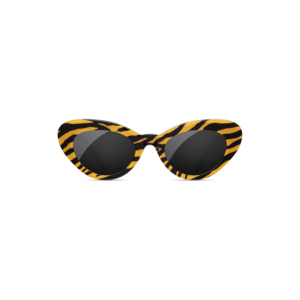 Go for an edgy look with Chimi’s ultra-chic tiger print sunnies. Despite its social media takeover, I still love leopard print (always have and always will). So yes, you can still rock it. Just try to jazz it up in a non-basic way. 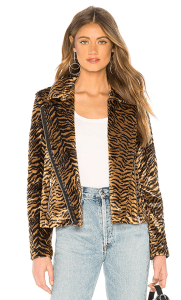 When you want to mix things up, though, just reach for snakeskin or tiger print. I guarantee that you’ll be the talk of the town.